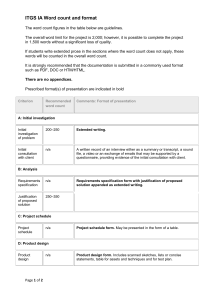 This document explains the major features of the course, and outlines the syllabus and assessment requirements. from the IB store (http://store.ibo.org). collectively as the human sciences or social sciences. advantages and disadvantages of the access and use of digitized information at the local and global level. range is such that they fall outside the scope of any other single discipline. syllabus the following definitions apply. organized to accomplish specific functions and solve specific problems. there are clear differences between the subjects. 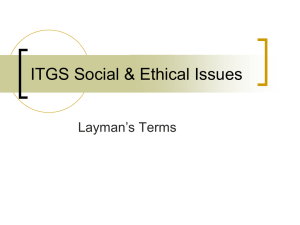 In ITGS, people are central to the study of the subject. a new IT system on people will not be superficial. understanding of a social impact or ethical issue. use of currently available software. which useful software can be derived. or by adapting existing solutions. at the technology and then later at its interaction with those affected by it. Some degree of overlap between the two subjects is intentional, inevitable and desirable. 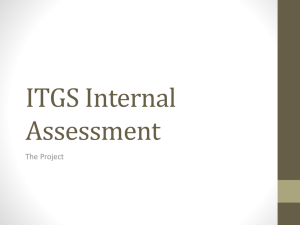 expected or required, and no prior knowledge of ITGS is necessary for students to undertake this course. 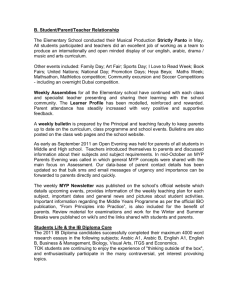 completing the humanities and technology courses in the IB Middle Years Programme (MYP). and space, change, systems and global awareness prepares students for the demands of the ITGS course. range of skills developed in MYP technology. technology for life, society and the environment. 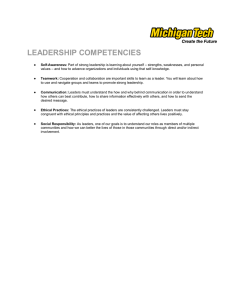 skills and knowledge to use them effectively. appreciate alternative solutions to problems. products and solutions of the appropriate quality. 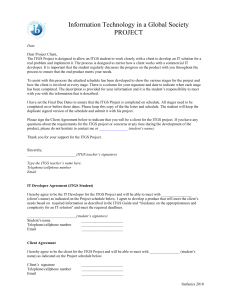 the development of the ITGS project. product meets the client’s requirements. skills acquired during the MYP technology course. of structured inquiry is a precursor to the problem-solving and inquiry-based approach of MYP technology. for a specified client or end-user. 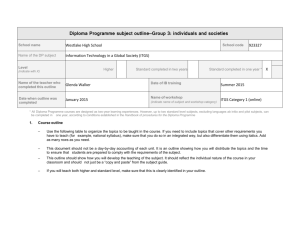 the course at SL or HL, students will be expected to demonstrate the following. integrated nature of the course. Social and ethical considerations linked to specified IT developments. 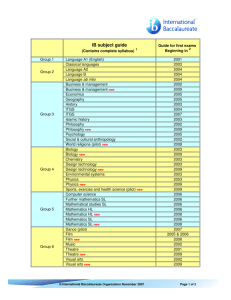 Students must study the following 12 issues. issues raised by the annually issued case study. Students must study the following 6 themes. developments in the two HL extension topics and the annually issued case study. 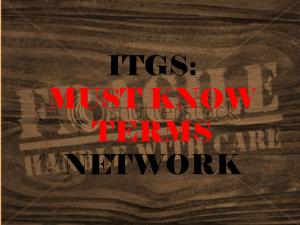 The terminology, concepts and tools relating to specified IT developments. 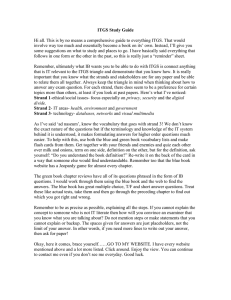 Students must study the following 9 topics. Students must study the following topics. IB at the end of the course. artificial intelligence and expert systems”.